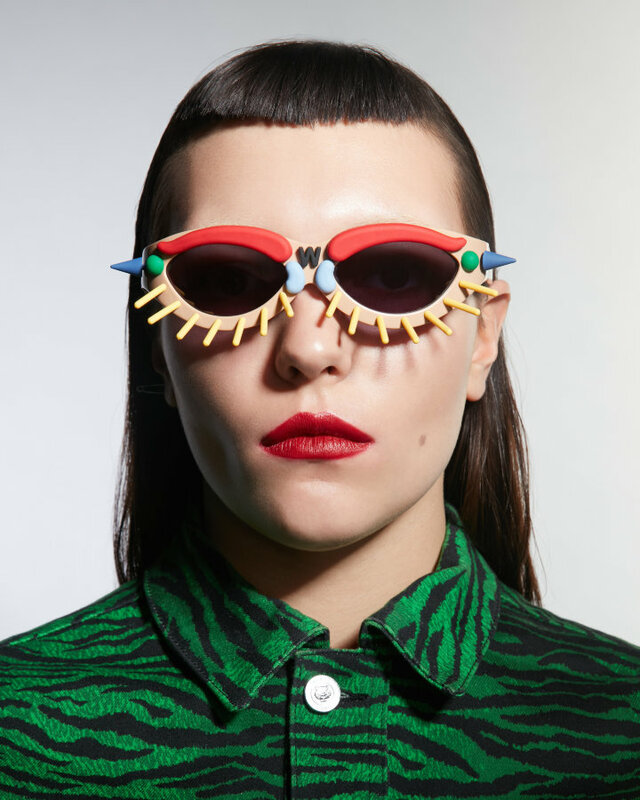 Toy Shades is a collaboration between Walter Van Beirendonck, a Belgian fashion designer famed by his beginnings as one of Antwerp’s Six, and FAKBYFAK, a conceptual eyewear brand based in Russia. 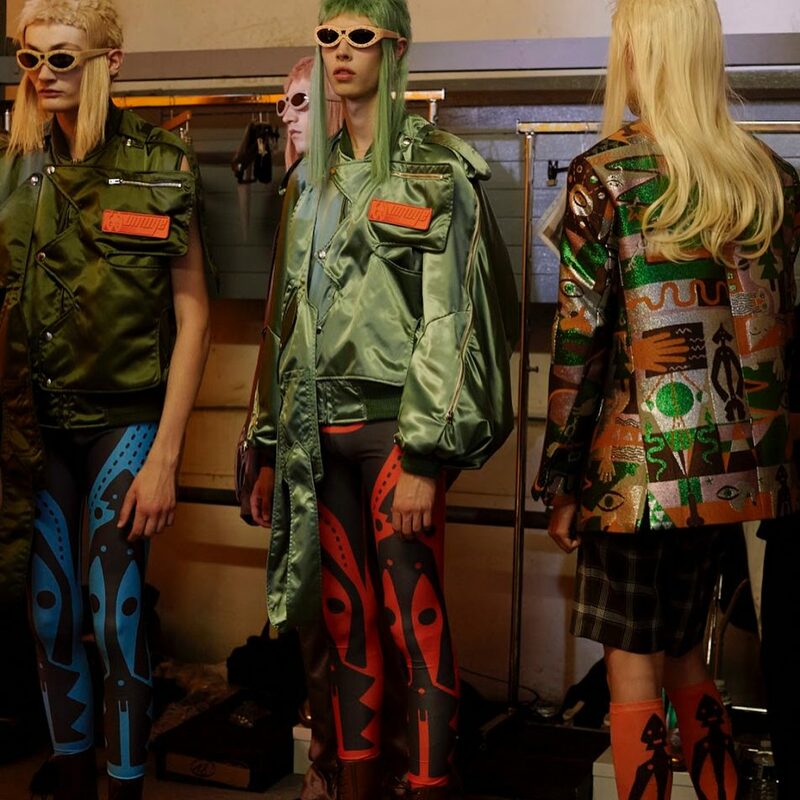 The story begins with Walter van Beirendonck’s SS 17 ready to wear collection: “WHY IS A RAVEN LIKE A WRITING DESK”, inspired by punk subculture of the early 1970s and Walter’s all-time hero David Bowie. 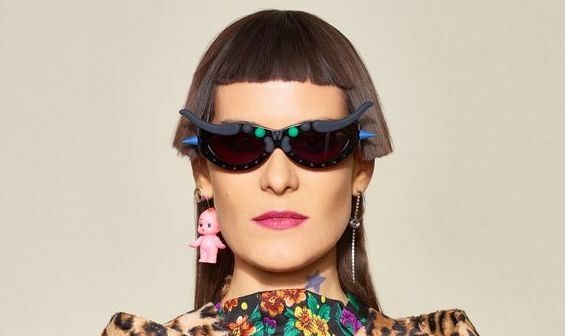 The colour-clashing and hair-styling of the photo-shoot harks back to Bowie’s imitable style. 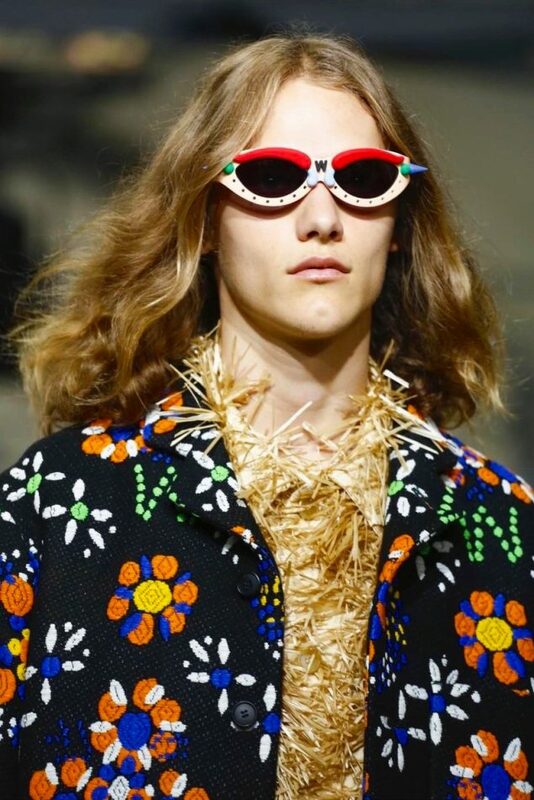 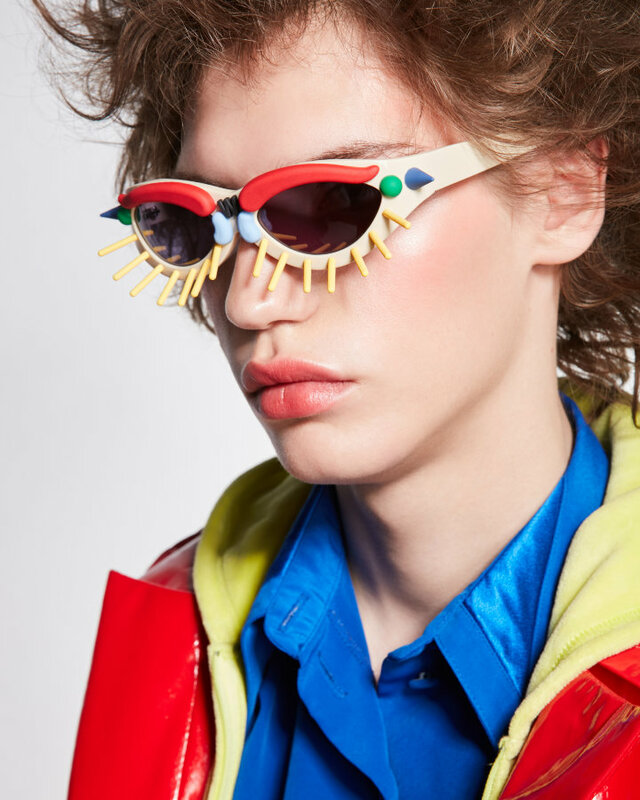 It was a match made in technicolour heaven, combining Walter Van Beirendonck’s playful uncompromising design style and the conceptual development and realisation by FAKBYFAK Eyewear. 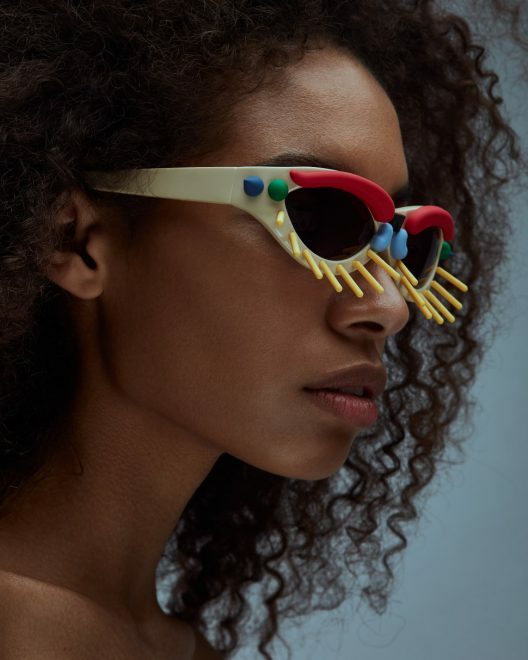 Celebrating and the diversity of multi-racial skin colours, the collection consists of 1 style presented in 5 colour combinations representing all the races and humans living on Earth. 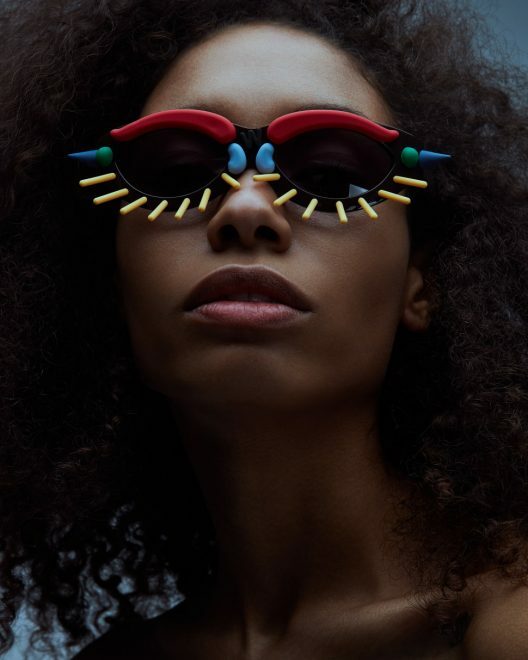 FAKBYFAK took on this ambitious challenge to create this pair of glasses, from colour variations, to the materials used in each element which had to be thoroughly thought to perfection. 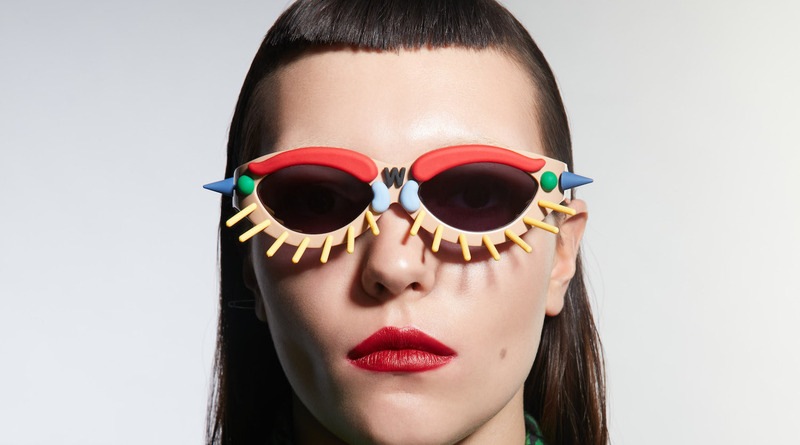 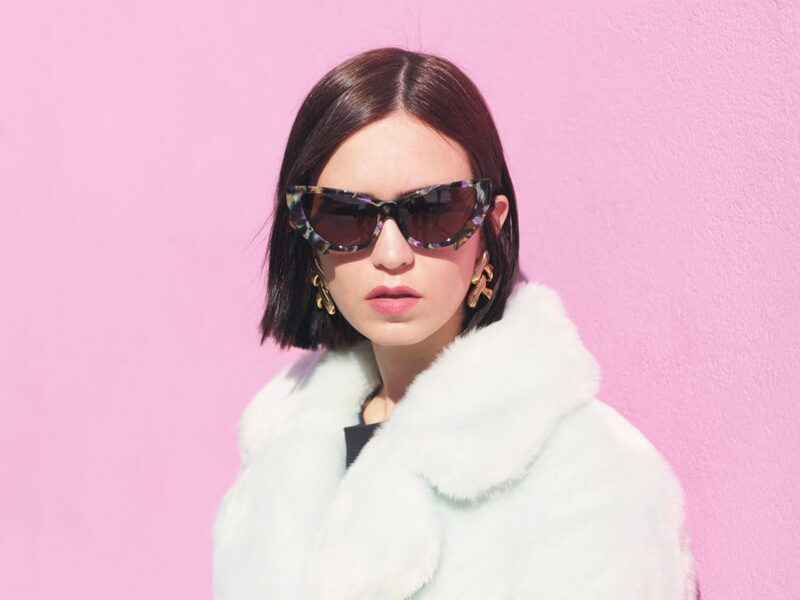 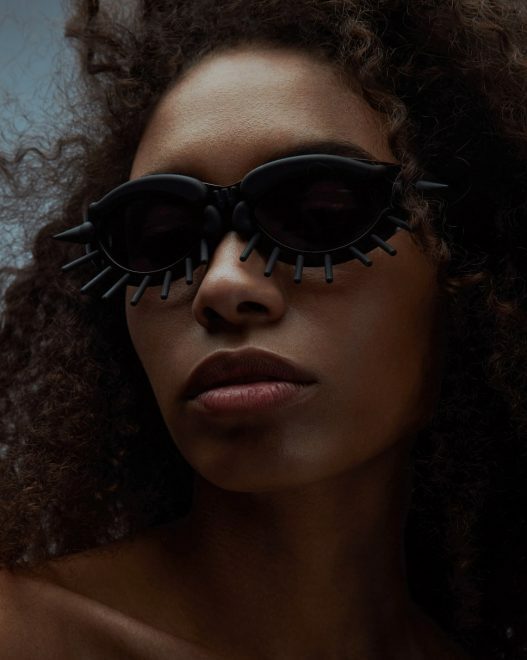 Just like a construction kit, the sunglasses are a playful kind of TOY whose decorative elements can be re-assembled together by attaching various elements to the frame creating diverse faces and masks.